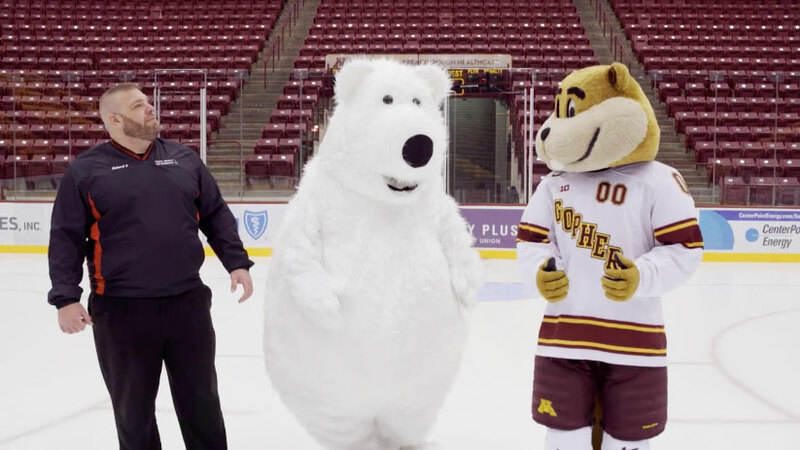 White Bear Mitsubishi in White Bear Lake, Minn., has used a polar bear mascot in its commercials (and its logo) for years. But the lovable furry beast met his match recently while filming a commercial on the ice at a hockey arena. To say the bear had trouble staying on his feet is putting it mildly. White Bear Mitsubishi posted a bunch of outtakes from the shoot on Facebook around Christmas, and the clip has since gone viral—and it really is painfully funny. White Bear's longtime agency of record, Cuneo Advertising of Minneapolis, created the original ads and came up with the idea for the blooper reel. The dealership has been pleasantly surprised by all the attention from the national news media, and even some celebs (see below). And it's extending the gag in any way it can, including this caption contest.